Donna Cavanagh is founder of HumorOutcasts.com (HO) and the partner publishing company, HumorOutcasts Press which now includes the labels Shorehouse Books and Corner Office Books (HOPress-Shorehousebooks.com). Cavanagh launched HO as an outlet for writers to showcase their work in a world that offered few avenues for humor. HO now features the creative talents of more than 100 aspiring and accomplished writers, producers, comics and authors from all over the world. Known for its eclectic content, HumorOutcasts has something for everyone. As a writer herself, Cavanagh is a former journalist who made an unscheduled stop into humor more than 20 years ago. 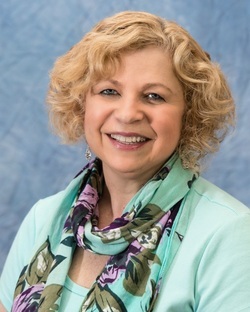 Her syndicated columns helped her gain a national audience when her work landed in the pages of First Magazine, USA Today and other national media. She has taught the how-to lessons of humor, blogging and publishing at The Philadelphia Writers' Conference and the Erma Bombeck Writer's Workshop. 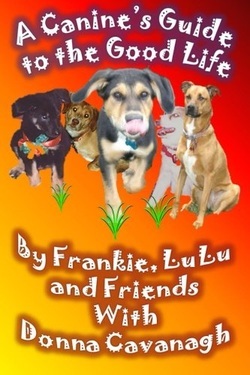 Recently named Humor Writer of the Month by the Erma Bombeck Writers’ Workshop, Cavanagh has penned four humor books Reality: Fantasy’s Evil Twin, Try and Avoid the Speed Bumps, A Canine’s Guide to the Good Life (which she wrote with her dogs Frankie and Lulu) and the USA Books Contest finalist Life On the Off Ramp. Cavanagh hopes her latest book How to Write and Share Humor: Techniques to Tickle Funny Bones and Win Fans will encourage writers not only to embrace their humor talents but show them off as well. She lives in the Philly suburbs with her husband Ed and her two author dogs. You'll love this short tail-wagging tale from two pooches who've been around the block with and without a leash. Frankie and LuLu tell it like it is when it comes to reining in an owner and getting the upper paw. You'll smile, you'll cringe and you just might bark out loud as these two intuitive mutts demonstrate that you don't need a pedigree to be top dog. We all want our life to be one smooth road, but none of us gets that all the time. Between the calm stretches of highway, we are forced to deal with the potholes and the occasional speed bump that accompany the turmoil surrounding family, jobs and friendships. If we don't slow down to maneuver the bumps, we might find ourselves a bit battered and bruised. This book, gives us a look at some of those speed bumps and how love, patience and a good dose of humor help us maneuver life's complications. 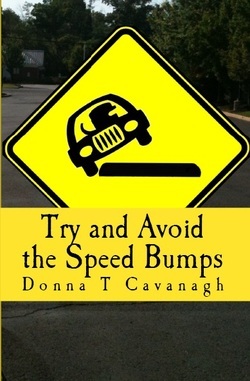 Try and Avoid the Speed Bumps is the follow up book to the successful Life on the Off Ramp which included some of the most popular earlier humor essays by Donna Cavanagh. 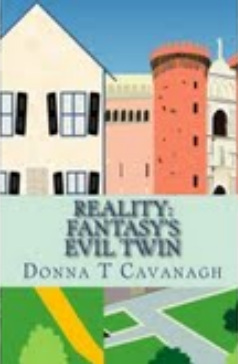 In this book, Donna Cavanagh takes us down life's path where middle age, teenagers, the empty nest and suburban existence can sometimes result in a rough ride. As you read through these essays, you will not only laugh at her experiences but you might see yourself in the same driver's seat too. "Donna Cavanagh's observations about life, love and parenting are spot-on and laugh-out-loud funny." "Nobody does family life funnier or sweeter today. From the first page to the last, Donna's world is a delight guaranteed to brighten your day." This book is about relationships - how we imagine them to be and how they really are. Each chapter is divided into Fantasy and Reality and you, the reader are the main character. The book takes you down life's road. It is a laugh-out-loud look at life's ups and downs. This book is my first collection of humor columns from newspapers and magazines. They are a fun look at marriage, parenting and life in general. This book was named a finalist in the USA Books Contest in 2010. Life on the Off Ramp, awarded "Finalist" in the USA Book News National Best Books 2010 contest, reflects the idea that most of us live our lives not in the fast lane, but on the off ramp where life is not quite as exciting. 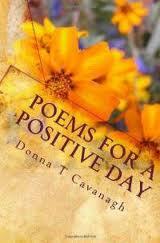 Poems For a Positive Day Uplifting verses to bring a positive spark to your daily life. Enjoy these inspirational and sometimes humorous poems that are sure to bring a smile to your face and warmth to your heart. 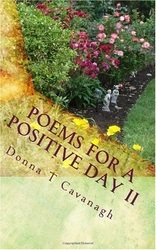 Poems For a Positive Day II A sequel to "Poems For A Positive Day", this book contains uplifting verses to inspire you to fulfill your dreams. 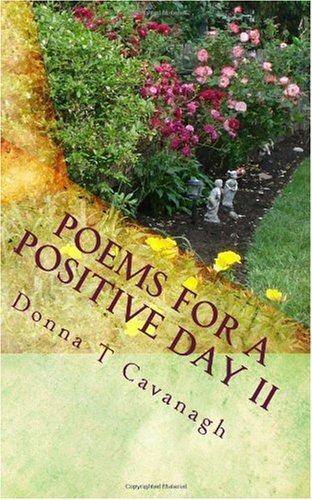 Enjoy these positive-themed and sometimes humorous poems which are guaranteed to bring a smile to your face and warmth to your heart. Did you know there are writing techniques designed to bring out the funny in all of us? Humor is a difficult genre, but for those who have the desire to make people’s lives a little lighter with words, this book is for them. 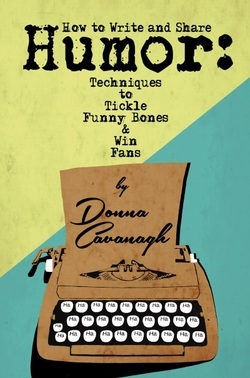 Written in an encouraging and entertaining tone and based on Donna Cavanagh's humor writing workshops, How to Write and Share Humor: Techniques to Tickle Funny Bones and Win Fans highlights the “humor helpers” that writers, business professionals or speakers can use to make audiences laugh out loud, softly chuckle or smile with amusement. As an added bonus, humorists, authors and comics have contributed "What Inspires my Humor" essays for some reader motivation.